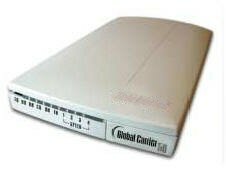 This modem incorporates the latest in security features, including dial-back, password protection and dial-out restrictions and DES Encrypted data. latest in security features, including dial-back, password protection and dial-out restrictions. Mission critical operations almost invariably involve high data security requirements, so MaxSpeed 5690+ modem incorporates the latest in security features, including dial-back, password protection, dial-out restrictions and 64 bit DES encryption (Country specific) with Super Secure enhanced key management. The MaxSpeed 5690+ is fully compatible with all data transmission protocols, including 56flex and V.90. Additionally, it includes an extensive command set to ensure compatibility with all hosts. The MaxSpeed 5690+ modem will perform in any environment you choose to deploy. It includes support for synchronous and asynchronous communications, as well as for both leased line and dial-up PSTN operation. Globally approved for use in any country. MaxSpeed 5690+ modem comes with Flash ROM, so you can keep your modem up to date and efficient, within the V.90 standard. security features, including dial-back, password protection and dial-out restrictions.